Forever 21 is having their Best Ever Cyber Monday Sale. 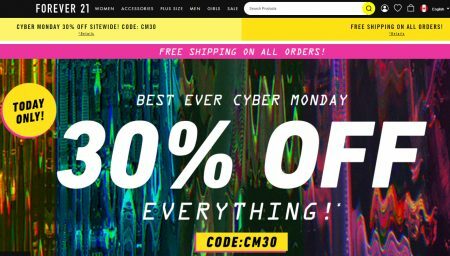 Save 30% off everything + free shipping on all orders when you enter the promo code CM30 at checkout . The sale is available online-only on Monday, November 26, 2018.